If you’re looking for a traditional 3-bedroom ranch that’s very affordable, the popular Blue Ridge may be the one for you. Outside, it features a spacious front porch with attractive hand-peeled railing and double picture windows. Inside, your guests will be greeted by the open-concept great room with a large stone fireplace and cathedral ceiling with large timbers. 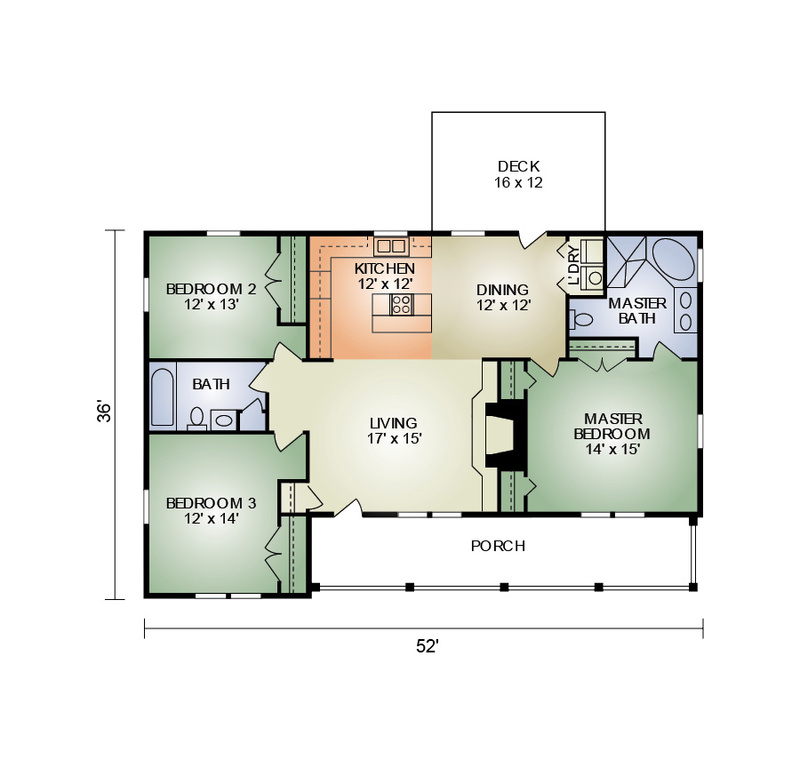 The master bedroom has its own master bath with room for a hot tub, while the two other bedrooms share a second bath. The kitchen has its own island while the dining area has a laundry closet and access to the outside deck. No wasted space here! 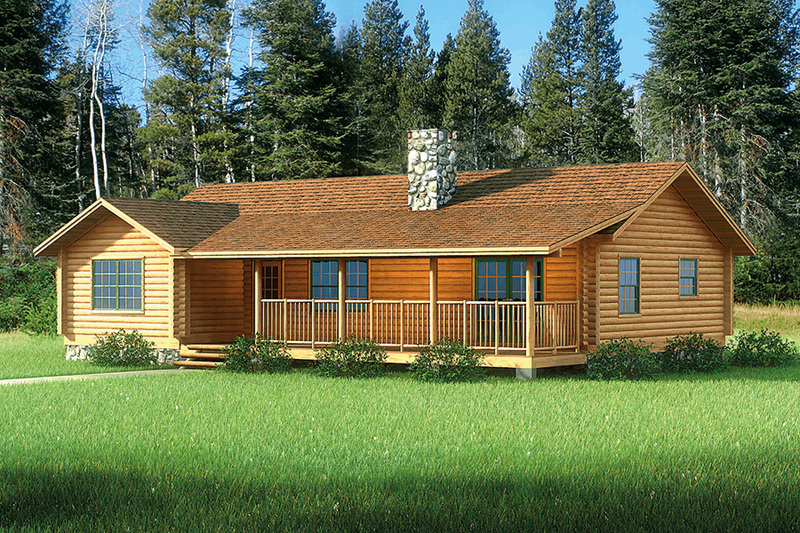 A beautiful ranch home for those that need 3 bedrooms in a practical, step-saving floor plan.